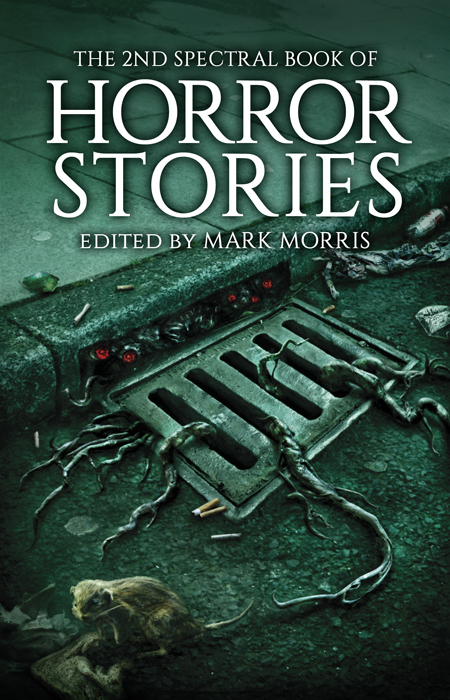 First, it is with great pleasure that we can announce that renowned anthology editor Ellen Datlow has chosen two stories from the First Spectral Book of Horror Stories for her The Best Horror of the Year Volume 7, due out later this year. The stories selected are Rio Youers’ Outside Heavenly and Alison Littlewood’s The Dog’s Home. Congratulations in particular to Rio and Alison, and also to all the other writers too! The book is still available (order on the Paypal buttons below), and is chock full of excellent stories to thrill and chill. Buy your copy today! This novella is selling very nicely, copies going out left, right, and centre. This is sure to be a popular title, so why not grab a copy today! 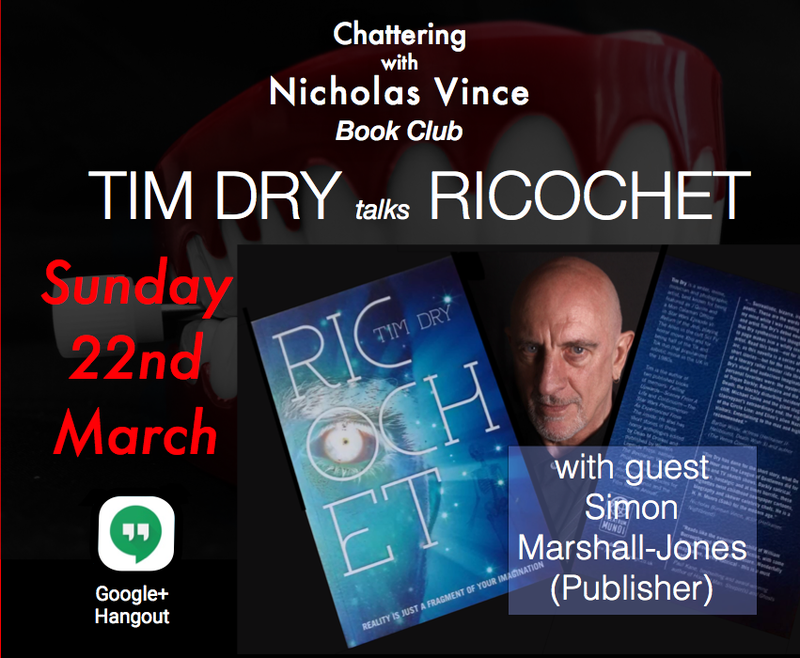 Also, the author Tim Dry and the publisher Simon Marshall-Jones will be appearing on Nicholas Vince’s Book Club Google+ Hangout on 22nd March 2015 at 7pm and on Youtube shortly afterwards. More details can be found right HERE. 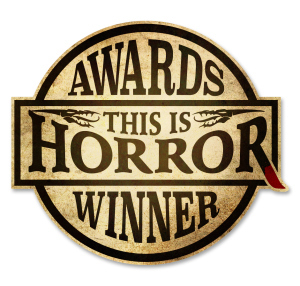 It is with great pleasure that we can announce that The Spectral Book of Horror Stories has been nominated for Anthology of the Year in the This Is Horror Awards 2014. Additionally, Vincent Chong’s masterful artwork for the cover of book has also been nominated for Book Cover of the Year in the same awards. The list of the rest of the nominees can be seen HERE. We here at Spectral are particularly proud of this book and extremely pleased with the reception it has received – for it to be nominated is testament to the quality of the stories within its covers. 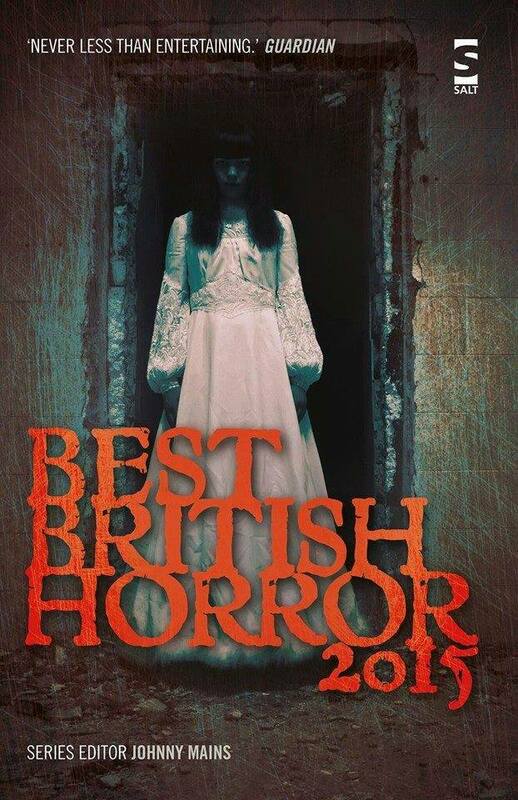 First, the British broadsheet newspaper The Guardian printed a review by Keith Brooke of The Spectral Book of Horror Stories over the weekend – you can read that one HERE. 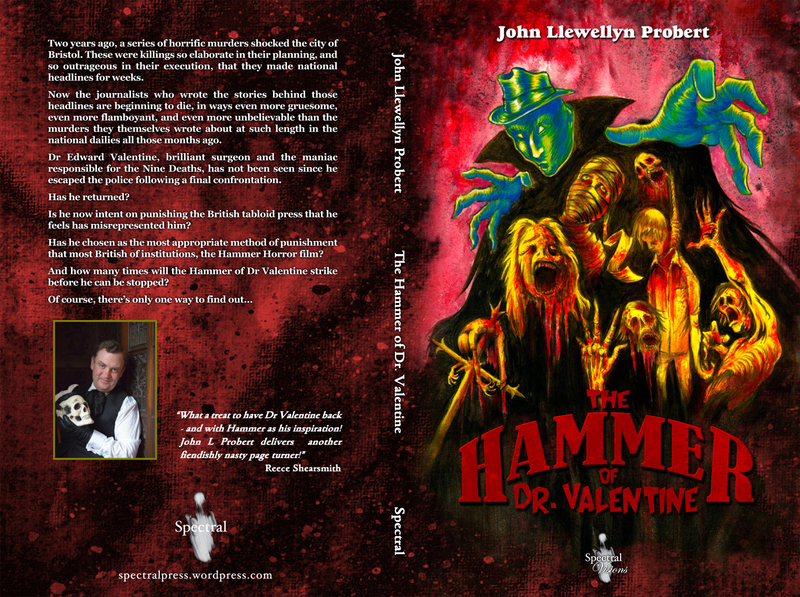 Next, we have two reviews of John Llewellyn Probert’s The Hammer of Dr. Valentine: the first one is from Sparks in Electrical Jelly, written by Jez Winship, which can be found HERE, and the other is from The Eloquent Page and is written by Paul Holmes, and that can be found HERE. The latest review to come to our attention is This Is Horror‘s thoughts on The Spectral Book of Horror Stories, edited by Mark Morris. The review is by Ross Warren, and it can be found right HERE. Just a quick heads up about a forthcoming event – on the evening of November 21st 2014 Waterstones in Leeds will be staging a Spectral Book of Horror Stories event. Editor Mark Morris is going to be there, as will Gary McMahon, Alison Littlewood, and Reginald Oliver, to sign copies and do readings – and publisher Simon Marshall-Jones is also looking to be there to look on admiringly. After the readings will be a Q&A followed by the signing. For those who know about these things, yes there will be wine available during the event. I am so impressed by this polished short story collection that I almost don’t know how to start this review. For this reason I’m going to begin with some basic facts. 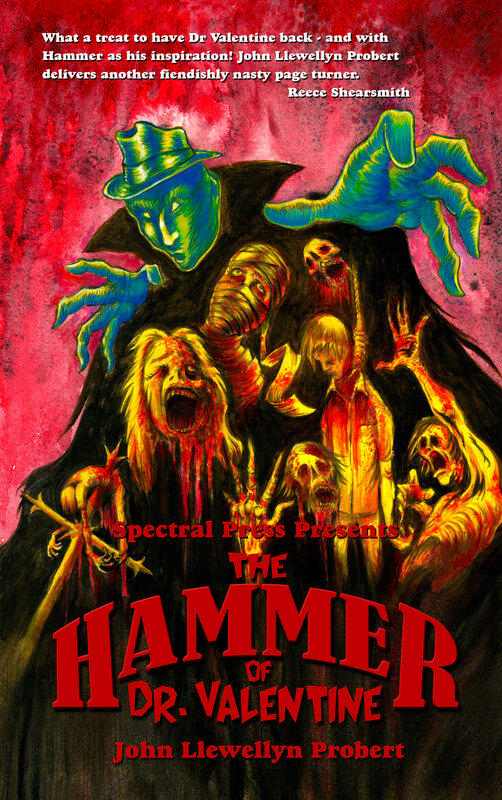 The Spectral Book of Horror Stories is published by Spectral Press, who are going from strength to strength in my estimation, contains over three hundred pages of eclectic horror fiction, nineteen short stories (written by nineteen of the best contemporary horror writers) and aims to be the first volume in an annual series of horror anthologies. It is unthemed (according to its editor, but I’ll come back to that later), contains supernatural and non-supernatural stories “of madness, of dread, of warped longing and twisted love”. 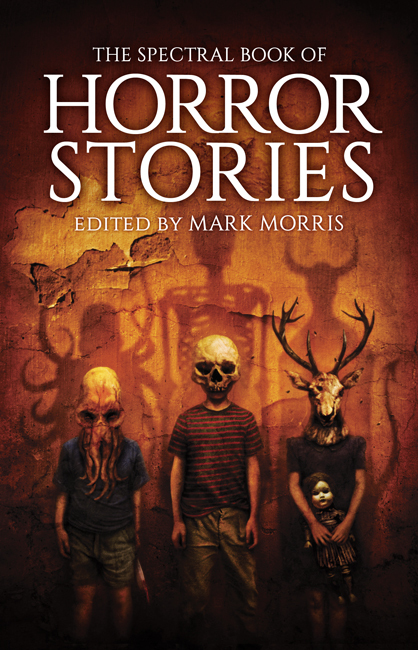 Contributors include Stephen Volk, Lisa Tuttle, Stephen Laws and Angela Slatter, to name just four of the Grand Masters and Mistresses of Horror who have written for this anthology. The collection is so good there was only one story out of the nineteen presented here that I didn’t connect with, no mean feat in an anthology of this size, and no, I’m not going to name it. That would be unfair on the story and its author. It wasn’t a bad story (all the stories are superbly crafted), it was just that, to me, it didn’t seem as outstanding as the other eighteen, but in a collection this good it really comes down to a question of taste and the stories are so varied there is surely something here that will please everyone. So I return to my original dilemma, with eighteen (okay, nineteen) outstanding horror tales to choose from, how am I going to describe this collection in a way that will do it justice and whet readers’ appetites. My solution lies in challenging the “unthemed” claim made by Mark Morris. Yes, it contains both supernatural and non-supernatural horror, ghosts, demons, rock’n roll, ancient books, celebrity bus tours, spooky monsters and serial killers, pagan renewal and sacrifice, unspecified evil, eviscerated corpses, madness, isolation and supernatural life-inspectors and might therefore be considered unthemed, but, apart from the sheer quality of the stories themselves, there is, to my mind, a theme running through these eclectic tales: the unknown. Even in the most graphic of these stories, there is as much unsaid as said, as many questions left unanswered as those spelled out in dripping blood or salt tears. The authors leave the reader’s imagination to do some of the legwork and it pays off big-time: these are stories that will continue to echo round your head long after you have finished reading them, assuming you have a head left, of course – there are at least two characters within these stories who have a physical absence in the head department and many more who certainly have a lack within it.